A Skoda Rapid will transport the Pope on his visit to Ireland and then be given to charity. Skoda Ireland confirmed that when Pope Francis touches down in Dublin on Saturday morning, he will be transported to Áras an Uachtaráin in a Skoda Rapid. 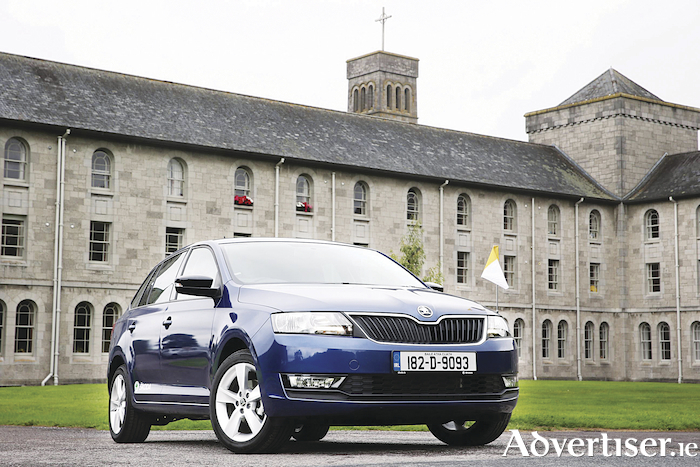 In addition to providing transport to Pope Francis in Dublin and Knock, Skoda Ireland will provide logistical services to dignitaries, with a fleet of the Superb, Karoq and Octavia vehicles. On Sunday August 26, Pope Francis will fly to Knock airport, where he will be transported to Knock Shrine. He will then return to Dublin for the World Meeting of Families 2018 Closing Mass in the Phoenix Park, marking the conclusion of his visit to Ireland. Following the departure of His Holiness, Pope Francis’ Skoda Rapid, together with an additional Skoda Rapid, will be provided to a charity to be nominated by Archbishop Diarmuid Martin, in accordance with the wishes of Pope Francis. Held every three years, the World Meeting of Families is a major international event that brings together families from across the world to celebrate, pray and reflect upon the central importance of the family, as the cornerstone of our lives. Pope Francis chose Dublin to host the World Meeting of Families 2018. On March 21 this year, he confirmed he would be revisiting Dublin for the first time since he was a young priest back in 1980. Skoda Ireland’s head of marketing and product, Raymond Leddy, told the Advertiser that Skoda was excited and honoured to be official car partner of the World Meeting of Families 2018. "All Skoda models are designed and built with the family in mind. We offer some of the most spacious cars on the market, perfect for families young and old, so this is a great opportunity for us to showcase the quality of the Skoda range to mass audiences, both at home and abroad. “The Skoda Rapid was chosen as it is one of the best value vehicles in the Skoda range, providing extensive rear-seat space and ease of access. Three identical Skoda Rapid vehicles, each fitted with unique identification registration plates, have been reserved for the event. “As part of the Papal fleet, we are commemorating Pope John Paul II’s visit to Ireland, with vehicle registration 182-C-1979 and of course, marking this year’s event with vehicle registration 182-C-2018. 182-D-9093 is the primary vehicle, which, when the digits 9093 are inverted, spells out the word Pope. Each Skoda Rapid provided has been customized to requirements. Modified glass has been installed and each vehicle has been provided in a unique navy-blue colour as requested. Small chrome flag poles have also been installed to the passenger-side fenders, which will display the Vatican flag."